Chances are that patty will still be delicious, but your lettuce, tomato, et al. are going to slide off the surface because of this patty's dome shape. 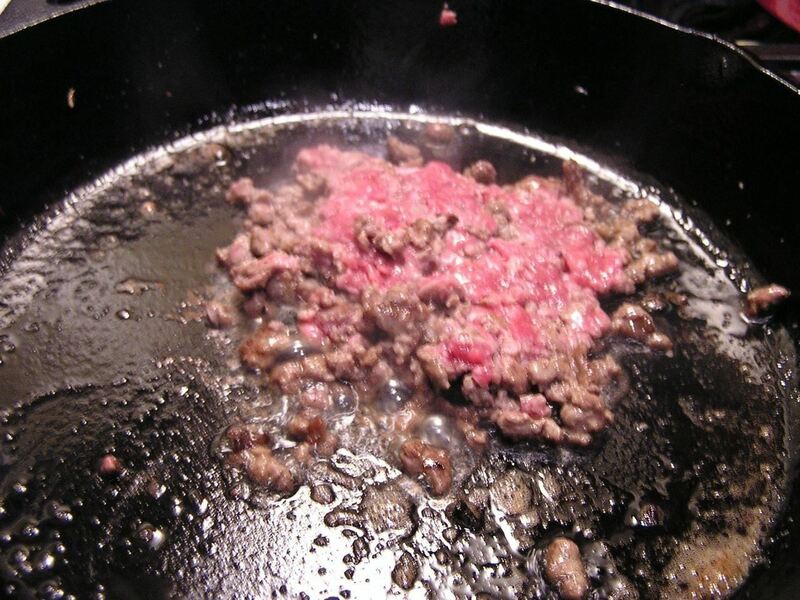 It's a good thing you just need one trick to make sure that your patties cook up with a nice flat surface every time. You don't need any fancy kitchen equipment either. The only necessary item? 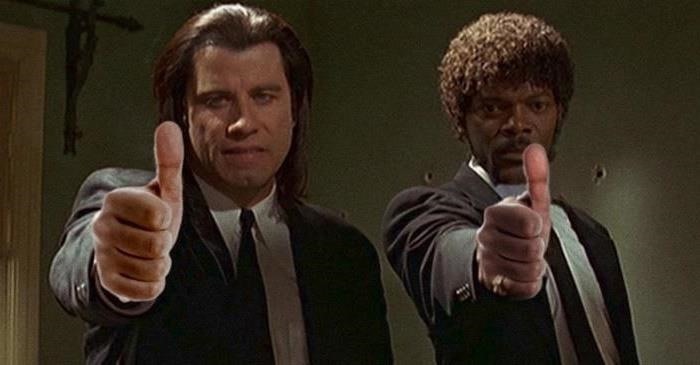 A thumb (if you haven't figured that out by now). 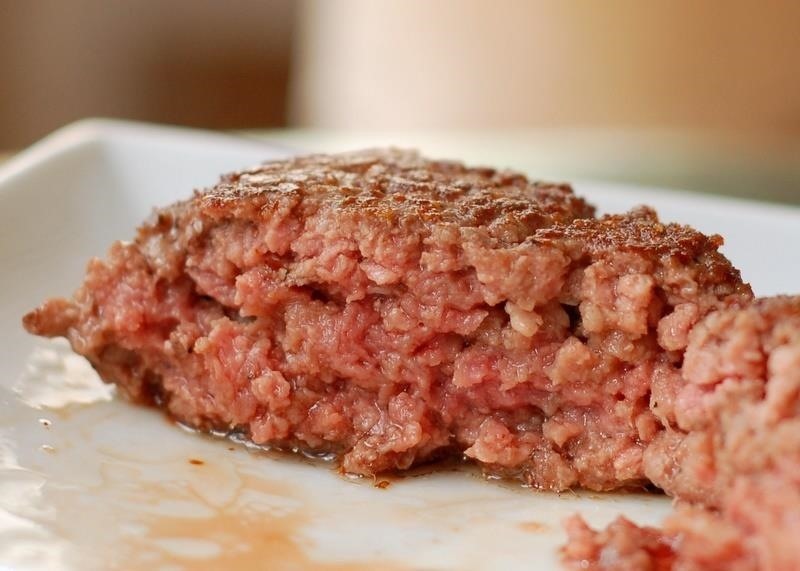 Simply make a deep depression in the center of your beef patty before you cook it, using your thumb or another round, small object like the back of a measuring spoon or an ice cream scooper. I'd say sink that sucker in anywhere from half an inch to a whole inch, depending on the thickness of your patties. As you can see, the divot starts to disappear as the meat cooks. 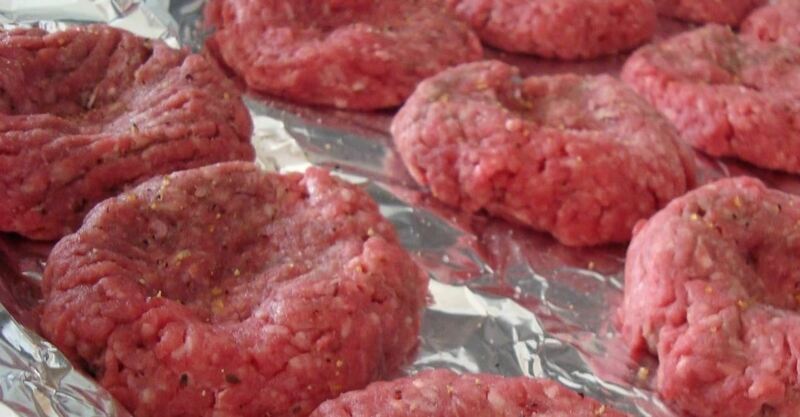 Meat contracts while cooking, which is why a uniformly shaped beef patty will swell in the middle as it sits on the grill or pan. Bobby Flay points out that most home cooks press down on these saucer-shaped burgers to get the puffy middles to lie flat. At best, you'll end up pressing out all the juices that make the meat tasty; at worst, you'll destroy the structure of your burger. 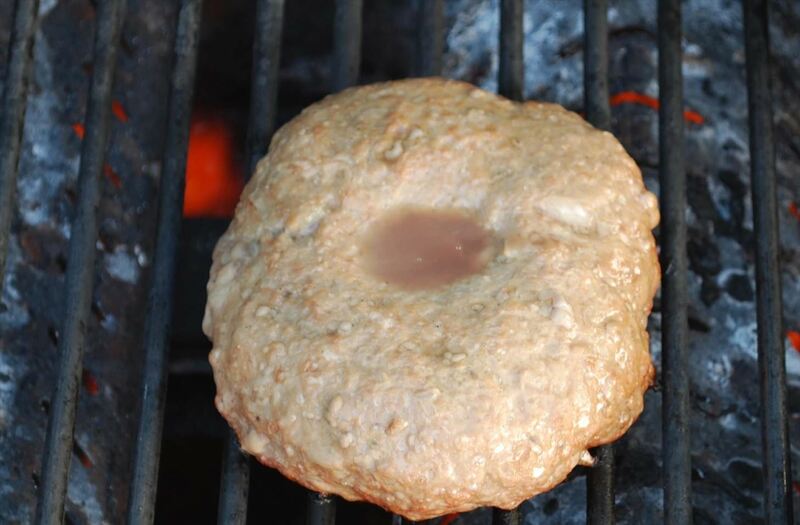 When you place a divot in the center of the patty, you ensure that the center of the meat will expand uniformly with the edges. This means the patty's surface comes out flat, not puffed up. The meat cooks more evenly, too, so you're not left with a rare middle and medium or well-done edges. Plus, your toppings will sit on that sucker perfectly, so you don't have to worry about messy physics when devouring it. Works great for sliders, too. 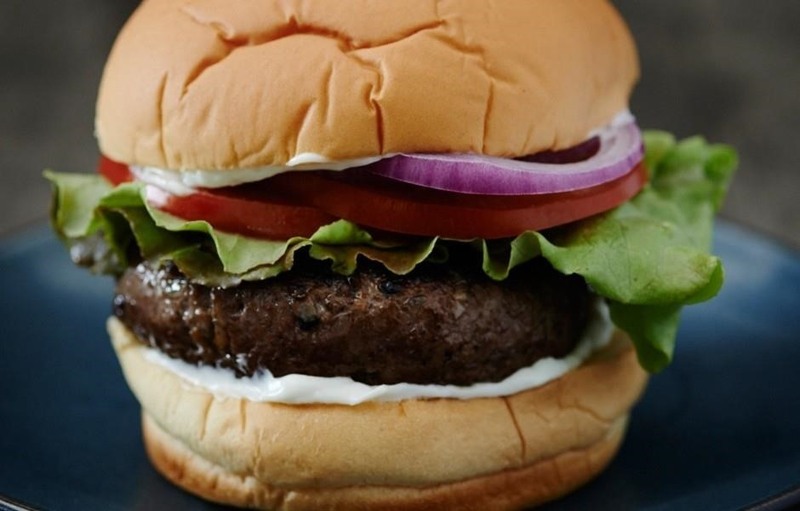 What other burger-cooking tricks do you know?